The wood windows from the EXCLUSIVE Line are modern windows with clear lines, perfect manufacturing and a high quality surface. Through extensive design possibilities in color, form, wood type and hardware the windows can match various requests. 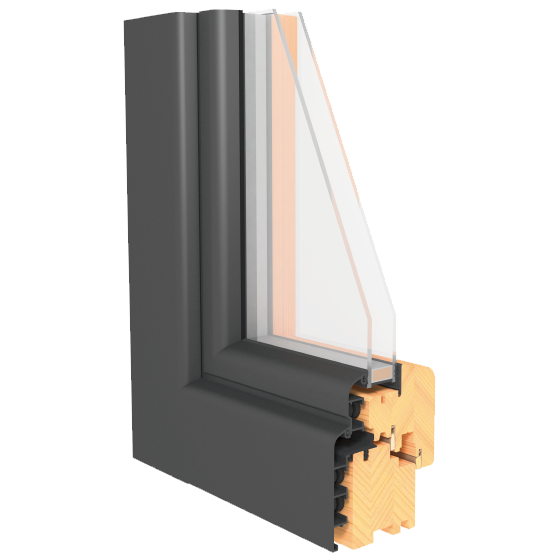 Through different profiles, glass thicknesses and other characteristics, they are also able to satisfy the most demanding requirements for energy efficiency and sound insulation, such as the ones for low-energy and passive houses. Wood windows create a comfortable and relaxing atmosphere. Wood windows, simple in execution but superb in the making. 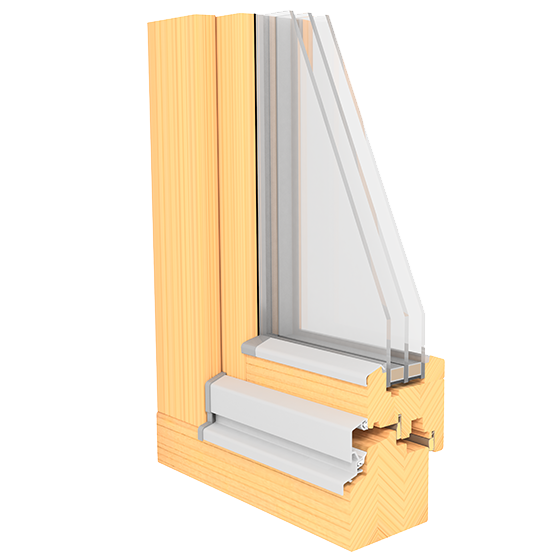 Wooden windows of the new generation, made to meet particularly high energy requirements. 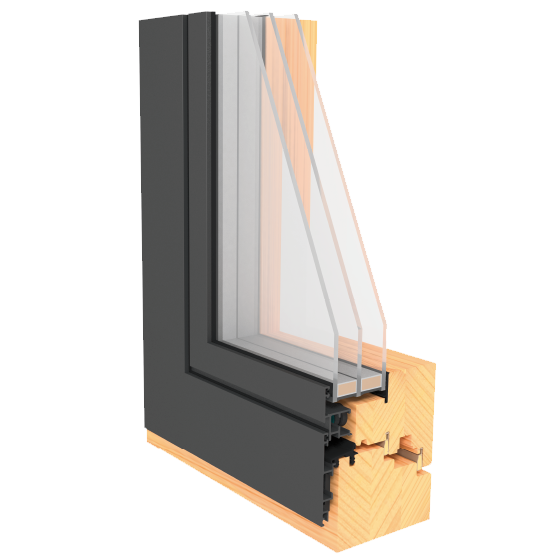 The wood-alu windows from our PREMIER Line are high class and quality products in window construction. Besides modern and extraordinary optics they possess all the good qualities of wooden windows and even more. They are natural on the inside and weather-resistant on the outside. 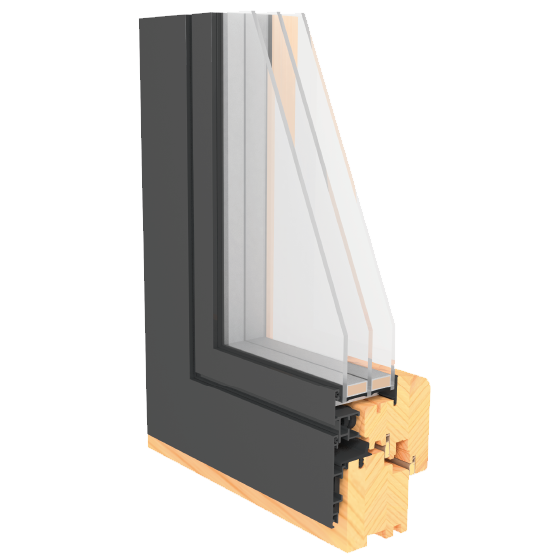 The aluminium cover, with its stable construction, welded edges and ”Quality coat” certified surface treatment makes your windows safe in any weather conditions. 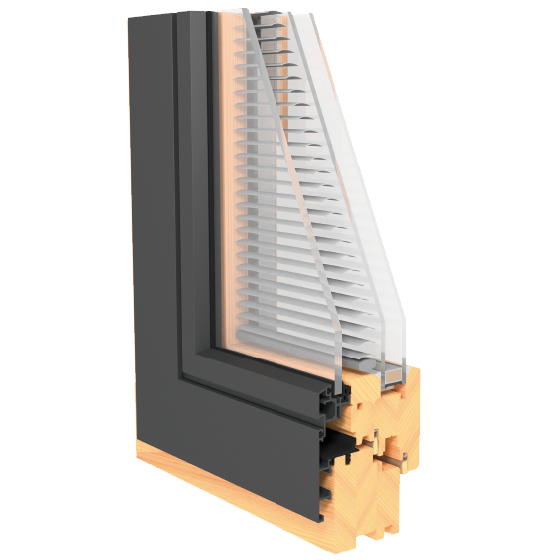 With its clear design and new technical solutions these windows are becoming a favourite of modern architecture. 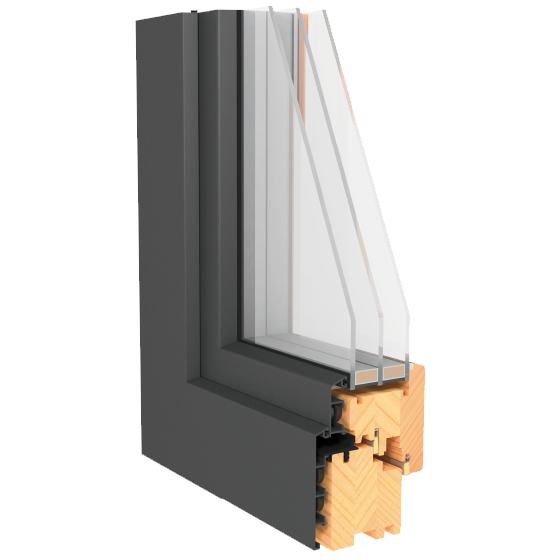 Wood-alu windows are the perfect choice. A window with a lot of light for minimalistic trends in architecture. 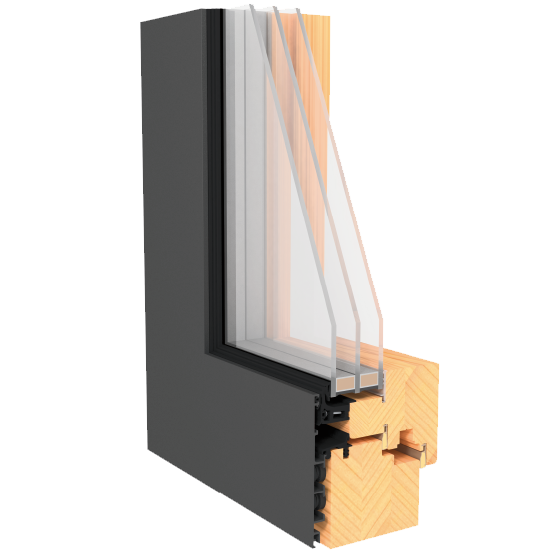 A classic wood-aluminum window that matches optimally aesthetic and technical requirements. 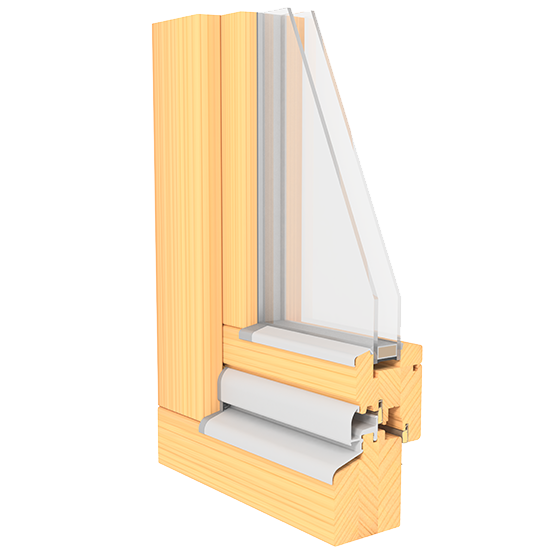 The basic model of wood-aluminum window for buildings with smaller energy requirements. Wood-aluminum window with integrated blinds to protect from the sun. 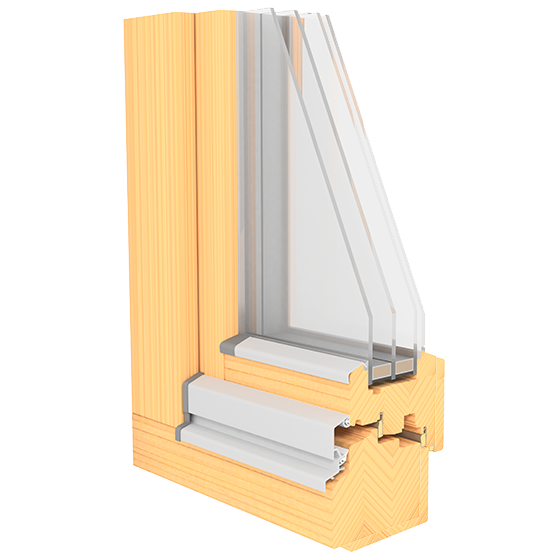 Our wood and wood-aluminium windows and doors are contributing to energy saving and low-carbon development. Every product from our production process goes through a system of quality control according to the Norm EN 14351-1:2006;2010, which includes labour testing in laboratories IFT Rosenheim and Euroinspekt-Drvokontrola as well as everyday factory intern quality control system.